So you like coffee, and you happen to be in Burma… Tough luck. 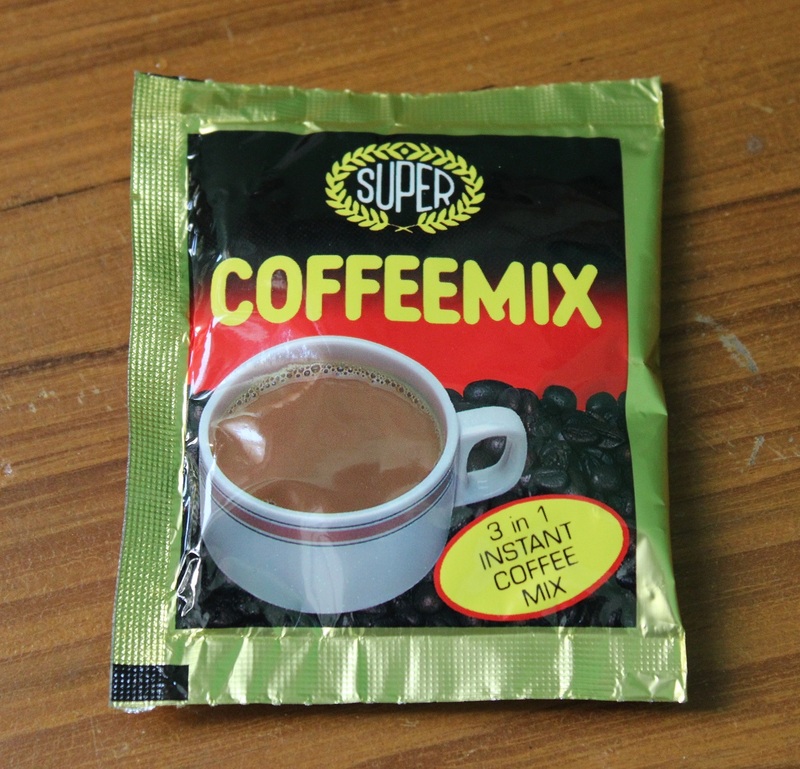 First you are bound to notice those little packets in hotels and restaurants called CoffeeMix. This is a convenient mixture of instant coffee, sugar, and powdered creamer that you just need to mix with hot water to obtain an instant cup of coffee. Not quite what you were looking for? Perhaps you will be asked by wait staff whether you would like your coffee white or black. White coffee is coffee with way too much sugar, and “milk” (probably powdered creamer). Or perhaps asking for coffee will simply bring you a cup of undrinkable dish water. I bet you’re missing the CoffeeMix just about now, aren’t you? While travelling in Burma, many coffee drinkers just become tea drinkers for a while. In some places, you even get free tea with your meal (Chan tea in Chan state, Chinese tea in some Chinese restaurants). But do not get discouraged just yet. If what you’re really yearning for is a good cup of espresso (or latte, or cappuccino) it can be found. Just read on. Near Sule Pagoda, at 470/472 Maharbandoola Road, Cafe KSS serves good espresso coffee in a modern-looking, air-conditioned restaurant. They also have a full food menu and more staff than they need. The restaurant is a good break from the noise, dirt, heat, and traffic of the street. It seems to cater to tourists and well-off Burmese. Yangon is a big city, and I am pretty sure there must be other places serving decent espresso. I just didn’t have the time to find them. 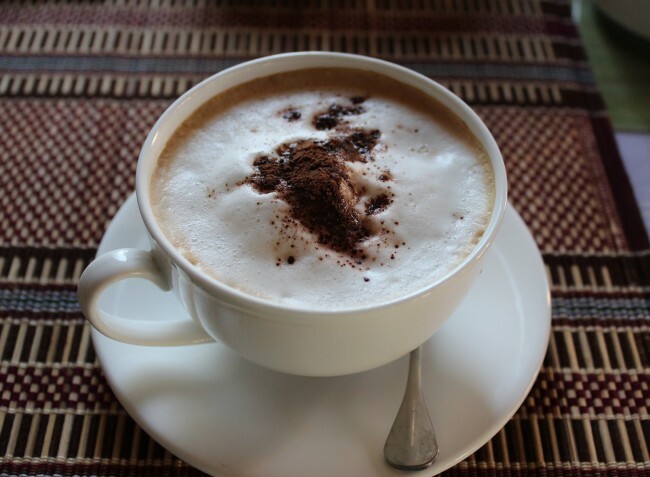 Several places advertise cappuccinos and lattes in Nyaungshwe, but they are not all created equal. Some taste like they’ve just passed instant coffee into the machine and covered it with bubble bath foam. For good espresso coffee, head straight to The Road to Inle, a small restaurant at 68 Phaung Daw Pyan Road (100 metres to the east of Myawadi Road). The service is friendly, and they also make good and fresh Burmese food. They will bring you Chan tea and tofu chips with every order, even if you’re only ordering coffee! Now all they need is WiFi. This small dusty town, the budget place to stay while visiting the temples of Bagan, has a wonderful cafe called The Black Bamboo. It’s French-owned and located in a peaceful green garden on a side street off Yarkinnthar Hotel Road (a.k.a. Restaurant Row – look for the little sign on the east side of the road). Besides coffee, they also serve ice cream, a few pricey food items, and, marvelously enough, European chocolate bars! So there you have it. Three reliable places to get your coffee fix while in Burma. A cappuccino or latte goes for around 1500 or 2000 Kyats ($1.5 to $2). All those places also serve cold versions of the coffee (sometimes even frappé) for a bit more money. Of the other popular tourist destinations, I didn’t find a single place in Kalaw serving espresso. Although I didn’t look everywhere, central Mandalay did not look promising either. Even finding decent food was a challenge in that city. If you know of other good places to drink espresso coffee in Burma, please leave a comment for other coffee lovers. Thank you! Best coffee in Mandalay is made in cafe Nova. I concur. Best coffee in Mandalay is Nova. My Husband had the chance to visit Yangon. The taste is awesome… he brought some beans as well.